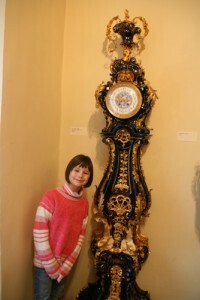 My daughter is in the second grade, and field trips are scheduled often by the teacher and parents in connection with studies. 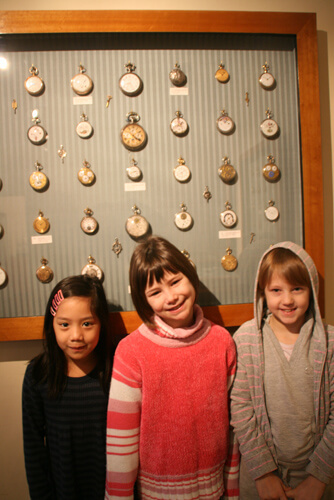 The kids are learning how to read time so we went to a trip at the clock museum last month. Nevermind the cold, the kids had their smile ready as I aim the camera. Below photo is my daughter (middle) with two of her classmates. 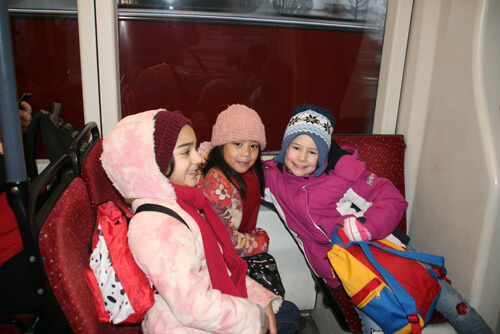 Whenever we go on trips outside the school they would be in pairs as we walk and if there are available seats at the tram or train they can each occupy one…but as mommy, I prefer walking about taking photos of them. 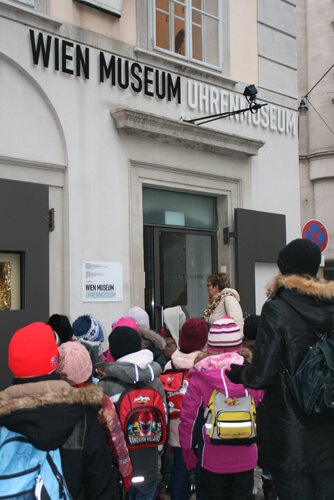 The museum is located at Vienna’s 2nd district, not far from the city center thereby frequented by tourists. It was a one ride trip to the endstation of the tram, merely 30 minutes travel time. We had to walk from the station and I found some interesting spots to photograph along the way. 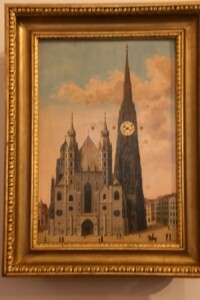 I haven’t been back there yet, but I plan to photograph the ‘hidden’ treasures of Vienna that I spotted as we walk along. We arrived about 8:45 am and since it was still closed we walked a bit to kill time. Our guide was very able regarding knowledge of clocks, time, era and he has very effective humor to get the kids listening and “ohhhwing” as he explains. 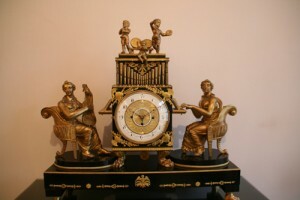 Below is the first clock to welcome us, a 600 year-old ensemble which has been used as a town clock. 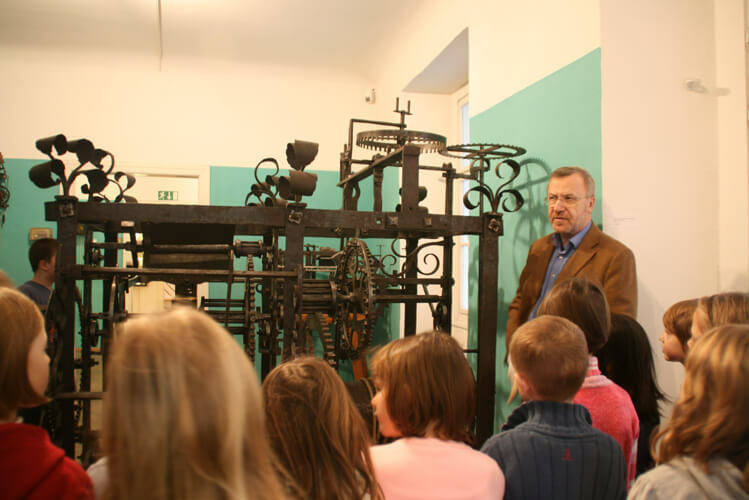 Here, you will see the teacher (wearing glasses) and a parent as they listen along with the children about cuckoo clocks. There were 3 floors of display in total and all of them has a story to tell, an era where they belonged and of course unique design according to trend. My daughter was not much in the mood for photos, was glad that her classmate was and she was able to persuade my daughter to smile. 😀 I was prohibited to use flash so pardon the blurring of the photos…. 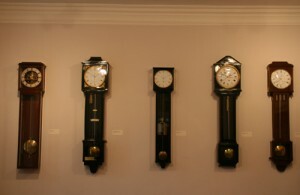 There were so many clocks on display….some were parts of a painting, others were hanging clocks, wristwatches, artisan clocks, those owned by emperors and other famous Austrians, still others were bigger than the kids and I. Looks like the class size is comparatively small in Vienna than here or in PI. I wish we had field trips in my grade school. i love museums! 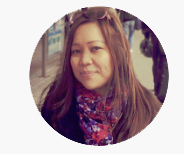 haven’t been to many, though… nice photos! thanks for sharing..
Just tips which i has been looking for. Well put too.